Once known as the Northcote Theatre, the Regal Ballroom is often confused with the Palace Cinema in Westgarth (also in High St but down the road) and Melbourne's newest live music venue. The grand Northcote Theatre closed in 1960 but reopened fittingly re-titled The Regal Ballroom and meticulously restored and detailed to its former glory. The Regal Ballroom has been transformed into an astonishing event space that has brought the theatre back to its core values: Bringing people together. Whether it is for a Wedding, Annual Ball, Corporate Cocktail Event or an Anniversary Celebration, The Regal Ballroom together with it's remarkable past will surely make your function a truly unforgettable event. 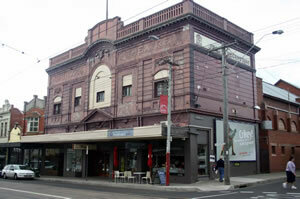 Established in June 1912 by the Northcote Picture Theatre Company it is the oldest purpose built cinema surviving largely intact in Melbourne.